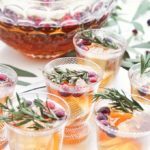 Whiskey Girl Celebration Punch is a holiday concoction from Dark Corner Distillery in Greenville, South Carolina, featuring their signature small batch Whiskey Girl Apple Maple. How are the holidays treating you? I thought so. You need a bit of a celebration. Don’t we all, at this time of year? Don’t get me wrong, now; I love the whole holiday season. But it comes bundled with all kinds of stress, and sometimes it takes a good party to throw off those holiday blues. When the distillery sent me these pretty punch pictures, I was charmed. I took a look at their recipe and just had to share it with you. 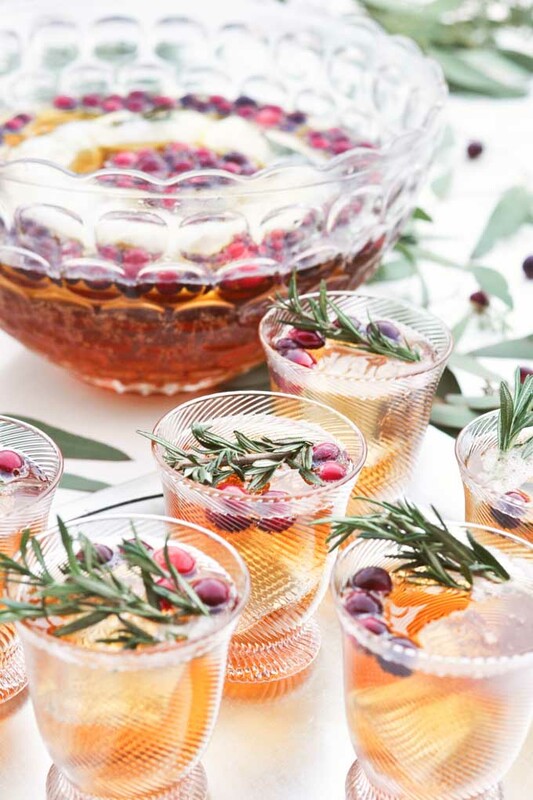 With only a few simple ingredients combined in a punch bowl, your holiday party will be off to the races. I’d recommend pairing it with something deliciously cheesy and festive, like Honey Berry Blue Cheese Ball or Brandied Triple Cheese Ball. Live a little. Happy holidays!